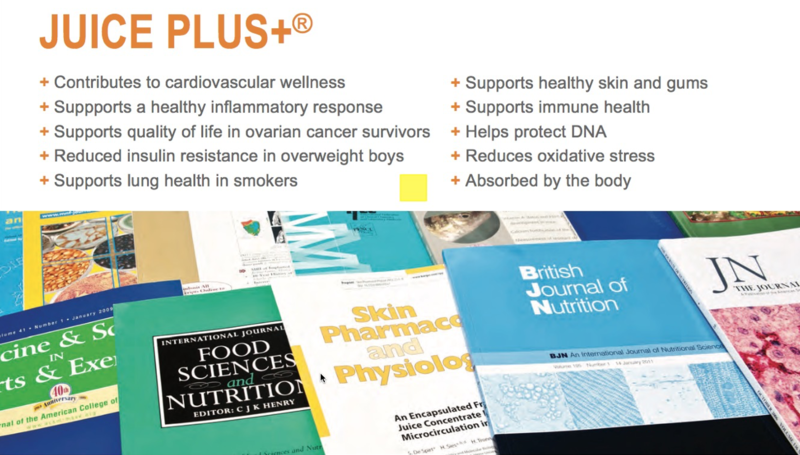 Juice Plus+ is the most thoroughly researched brand name nutritional product on the market today. Almost 40 studies have been published in peer-reviewed journals. These studies involved more than 2500 participants across a wide variety of ages.